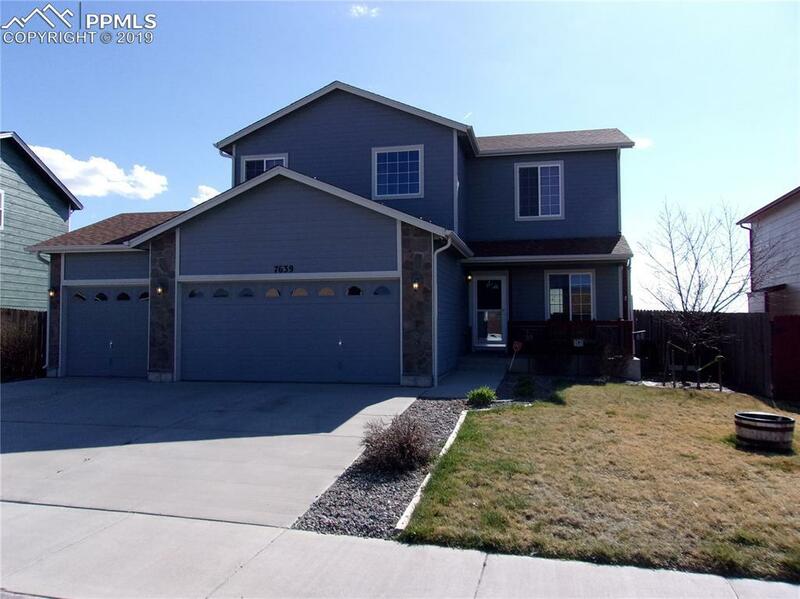 Perfect family home with 3 beds, 2 1/2 baths and located on a cul-de-sac. The open floor plan on the main level includes 9-foot ceilings, a gas fireplace, a dining area with a sliding door to walk out to a huge 44-foot-long red cedar wood deck with a pergola overhang. The oversized master bath is a must see with a good-sized walk-in closet. 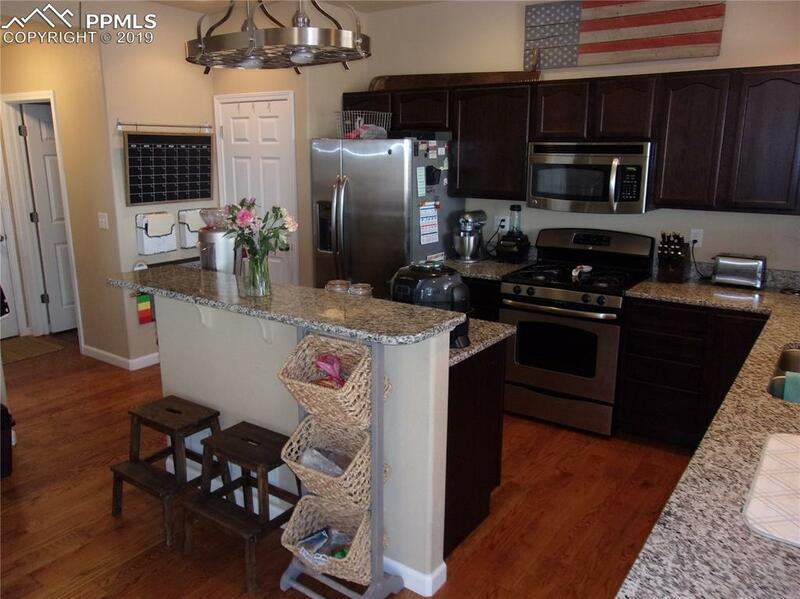 There are granite countertops throughout, hardwood floors, and stainless-steel appliances and a gas stove. 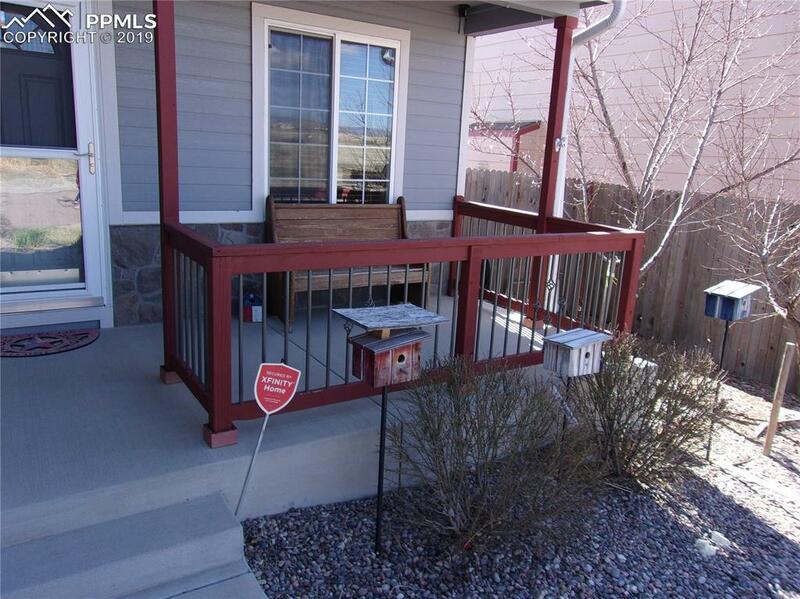 Enjoy the great views from the front porch watching your children to riding their bikes on the spacious cul-de-sac. The fruit trees adjacent to the porch a re full every summer. The back yard is fully fenced and with plenty of room on this oversized lot for the kids to run around or for your pet to run free. The 3-car garage offer plenty of space for your vehicles and there is extra shelving included. The unfinished basement offers plenty of area for storage or would be perfect for a workout space. The laundry room with washer and dryer included, located conveniently on the upper level between the three bedrooms. 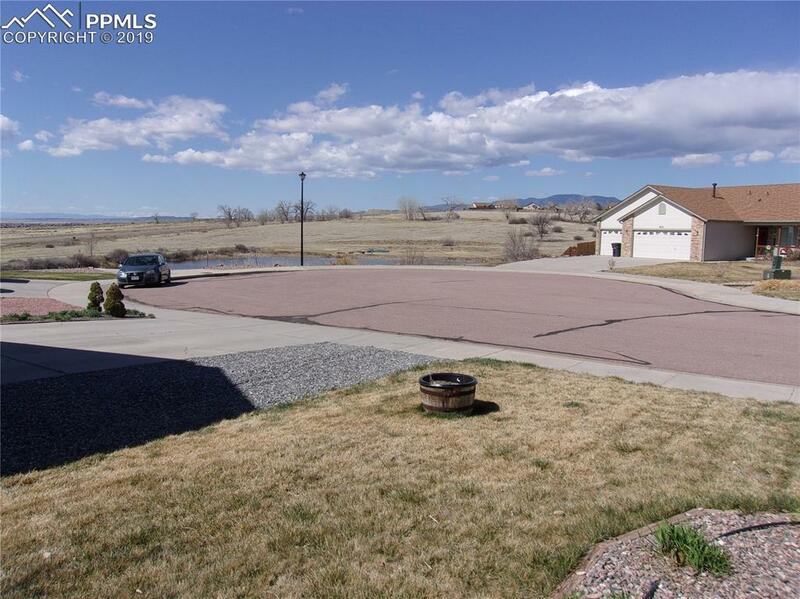 This home is minutes from many stores and close to Fort Carson and an easy commute to Schriever or Peterson AFB. Listing provided courtesy of Pillar Realty Llc.